The music of the 80’s was all about image and with the launch of MTV, the images that accompanied artists became more important than ever. When it came to this decade of music, nothing was understated, not the sound, the lights or the fashion. The music of the 80’s has had a huge influence on the music of today. On radio, the hit songs of the 80’s are still some of the most requested music 30 years later. With a popularity that sees no sign of aging, New Jersey’s top 80’s show band, Route 80’s, brings the audience back to the incredible decadent decade that brought us Madonna, Guns and Roses, Pat Benatar, U2, Blondie, Bon Jovi, Whitney Houston, the B-52s, Whitney Houston and so many more. The band looks 80’s, sounds like the original artists and engages the audience from the first through the last song. Between sets, the band plays “Route 80’s Name that Tune” with contestants from the audience competing for cool prizes. 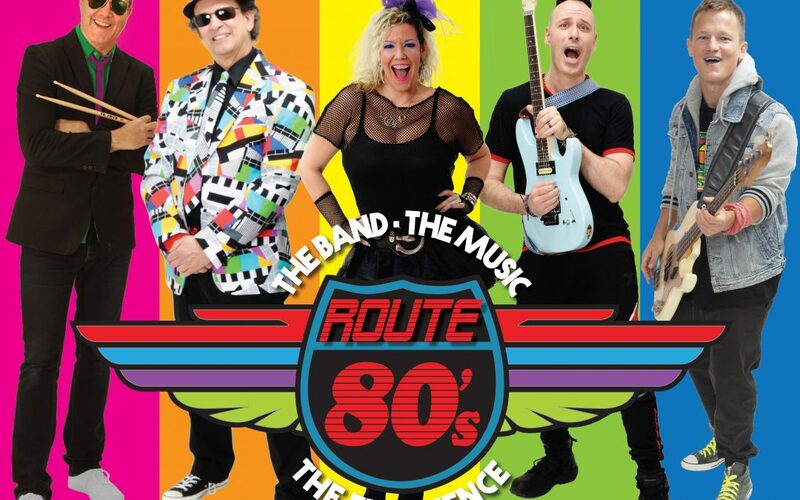 The Route 80’s Band – A Musical and Visual Experience of the Decade! No, we do not have table service or dinner service during the show. We have a small bar in the left-hand corner of the venue where you may purchase wine, beer, cocktails, and snacks. If you would like to have dinner before the show please call our restaurant, The Pour House at the New Hope Winery, at 215-794-2331 or on OpenTable. We recommend reservations for dinner no later than 6:30 for our Tuesday-Saturday shows, and 4:30 for our earlier Sunday shows. We do not offer refunds for shows unless the show is cancelled or rescheduled.